Parents know that kids are all about habits – good ones and bad ones. They also know that instilling good habits requires starting early and reinforcement at every opportunity. One of the biggest challenges for young kids and young parents is teaching good oral care habits such as brushing teeth, flossing or (the big one) seeing the dentist. Every kid knows that going to the dentist can be scary, especially if the dentist has no clue how to handle kids. That’s why, as a parent, it’s harder to find a pediatric dentist that works with your kids and their needs. But fear not, there are great pediatric dentists out there who are trained and equipped to deal with children of all ages and give them the right care without the trauma and hassle we used to have to deal with as kids. A pediatric dentist is one that is trained to treat children and minors. Typically, they will have received longer training after dental school in pediatric focused topics such as child psychology, development and the medical needs of children and infants. They have also received special training in treating medically compromised children with special needs along with anesthesia and sedation training for children. These 2 to 3 years of extra training allow them to understand how to help kids properly while making the dental experience as easy as possible for you and the kids. Typically, pediatric dental offices come with other perks besides trained professionals such as kid-friendly exam rooms, toys, distractions and prizes. Additionally, these dentists take great care to hire staff that are equally sensitive to children and their needs. These perks typically combine to make the dental experience easy and maybe even fun for the kids while taking some of the stress off the parents. Ultimately, the goal of improving your children’s oral health is made easier with the combined efforts of all the staff and the parents. When children have good experiences at the dentist’s office, they are more likely to brush their teeth, floss and sit through the appointment without a fuss. 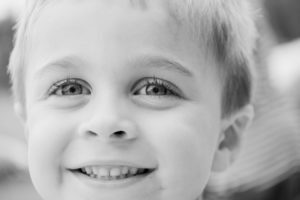 How Do I Find the Right Pediatric Dentist? Knowing that most of these offices will have trained staff and perks for the kids, choosing the right offices comes down to the details. The first place to start is with reviews online. Parents are typically interested in helping out other parents by sharing their experiences and online reviews provide a good look into the office. While it is important to look for reasonable, unbiased advice, online reviews can provide a great first step into the search. Next, you might want to consider speaking with a local dental school. The schools who train the dentists in the area are much more likely to have their finger on the pulse of the dentists in your neck of the woods. Talking with the institution can help you narrow down your choices. It is also important not to forget the basics like checking with your insurance company to find an office that takes your provider along with checking things like appointment times, distances and availability. Using these tools, you can take your kid in for an initial checkup which is a low cost, low commitment way to evaluate the clinic and decide if that’s where you want to place them for permanent care. If you have questions about dental care for your kids or want your children to go to a dentist that is fully equipped to treat children, contact us today at Hassey Dental. Our trained staff can help you schedule an appointment and get the right information you need for your kids.